When you buy hydrogen peroxide, you are buying peroxide of a particular grade and at a particular concentration. Concentration is NOT the same as grade. They are two different things. How are Concentration of Hydrogen Peroxide Stated, or Labeled? Concentrations of hydrogen peroxide are most often stated as a percentage. For example, most hydrogen peroxide at the drugstore (in brown bottles) is 3% (three percent). The number (3, in this example) and the % sign (or the word percent) tell you "this is the concentration". 3% hydrogen peroxide is a particular concentration. Sometimes concentration is also stated as PPM or parts per million. This is usually with water treatment or other very very dilute applications. Sometimes concentration is stated as something like "V20" or "V40". These are measures used with hairdressing peroxide. Most commonly, the concentration is stated as a percentage. Like 3% or 35%, for example. Here's an example: "35% food grade hydrogen peroxide". That's a phrase that is used pretty commonly, and in that exact order. It means liquid hydrogen peroxide that is a 35 percent concentration, and that is also a grade called "food grade". This is a combination (35% and food grade) that is sold fairly commonly. But it is certainly not the only possibility. Okay, so why do we care about concentration? Concentration tells you how strong the hydrogen peroxide is. This is VERY important. 6% hydrogen peroxide is TWICE as strong as 3%. If you use hydrogen peroxide that is too strong for the application you are using it for, you can cause pain, injury or death (for example to a person, a fish, another animal, or a plant). Or you could bleach something too much, or otherwise damage things. Yes, even things. Because of this, it is important to know what strength (or concentration) of hydrogen peroxide you are using. And it is very important if you are reading directions or a recipe using hydrogen peroxide to know what strength or concentration it refers to. A recipe that says "use a cup of hydrogen peroxide" is actually being vague. Do they mean "use a cup of 3% hydrogen peroxide"? Or do they mean "use a cup of 35% hydrogen peroxide"? This should NOT be left to chance! 35% hydrogen peroxide is 11 and 2/3 times stronger than 3% hydrogen peroxide. You can always dilute hydrogen peroxide, by adding water. But you can't easily make it stronger. When you add water, you change the concentration. If you add water to 3% hydrogen peroxide, it is no longer 3% hydrogen peroxide. In fact, you should re-label the container. It can be DANGEROUS to not know what concentration of hydrogen you have. And you don't want to have random bottles of peroxide that you do NOT know the strength of. All the peroxide you and I are likely to see is concentrations like 3% or 10%, or 35% at the most. The brown bottles at the drugstore are usually 3%. Hydrogen peroxide will say on the label what PERCENTAGE it is. So, bear with me here: If you buy a bottle of 3% peroxide, you do NOT add water to it to make 3%. It is already 3%, without diluting it. So, don’t go adding 97% water to it to try to get it to be 3%, okay? Super high concentrations of hydrogen peroxide, like 50% and 70% and 90%, are used for some industrial purposes, and as rocket fuel. The higher the percentage of peroxide, the more dangerous it is, and the more special handling it takes. What are the concentrations of hydrogen peroxide we need to know about, and what dilutions will you (perhaps) need to make? I refer to the concentration “3%” a lot when I’m talking about peroxide. Even when I’m saying to dilute it further, I often refer to an amount of “3% hydrogen peroxide” to add to water. Why 3%? Three percent is a familiar concentration, since the brown bottles at the drugstore are generally 3%. Maybe that is why I’ve gotten used to using 3% for examples, amounts and measurements. Three percent also seems to be a “standard” of sorts. Because hydrogen peroxide is generally sold as 3%, many books, websites, and charts use 3% in examples, amounts, and formulas. I’ve just gotten used to 3% as a concentration. Three percent is also what I mix and use in my home for most general everyday household purposes. There is no reason I have to do it this way – I could mix and use 5% instead. But I don’t. I mix and use 3%. I keep a gallon bottle of 3% hydrogen peroxide in my kitchen. I use the 3% peroxide for a number of things without further dilution, and, of course, I also often further dilute it by mixing it into water. I also keep 3% in spray bottles, and containers, in my kitchen and bathroom. But, there is no rule. If you use a lot of 1.5% peroxide as a mouthwash, you could keep a bottle of 1.5% peroxide in your bathroom. Please BE SURE to clearly label all containers of peroxide with the concentration of peroxide they contain! use 2 parts water and 1 part 3% peroxide. For example, ½ cup of water and ¼ cup of 3% hydrogen peroxide = ¾ cup of 1% hydrogen peroxide. There are also several places on this site where I say to use “1% to 3% hydrogen peroxide”. This means that using hydrogen peroxide that is somewhere in the range between 1% and 3% would be okay. 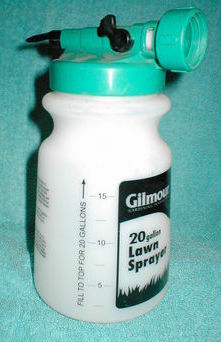 I use 35% for only a few things: I use it in baths, I use it in my garden sprayer, and I use it to make 3%. You may notice that ALL of these involve diluting it a lot. I’m never actually applying 35% peroxide. That’s because 35% peroxide is simply way too concentrated to use directly for normal household purposes. Even 3% often gets diluted further. And 35% always gets diluted a lot. 35% peroxide is quite caustic, and needs to be treated with real care and respect. It should always have warning labels. People have died from ingesting 35% hydrogen peroxide. Yes, really. 35% hydrogen peroxide is EXTREMELY concentrated, and can cause injury or death. 35% hydrogen peroxide must be handled with caution, care, and knowledge. NEVER use 35% hydrogen peroxide externally on people, other animals or plants. NEVER use 35% hydrogen peroxide internally for people or other animals. All home applications of 35% hydrogen peroxide require a great amount of dilution. Note: As of this writing (June 2018) Amazon does not sell concentrations of peroxide higher that 12%. The UK does not allow purchase of concentrations higher than 12% without a special permit. Also, while 3% and 12% hydrogen peroxide do NOT require shipment as hazardous materials, there are still some limitations on where they are welcome. Commercial airline flights generally list hydrogen peroxide as one of many things you cannot bring onboard (at any concentration). There are some types of peroxide that are sold in other concentrations, besides 3% and 35%. I suppose this is so that we can all practice our math and keep up on fractions? Seriously, it can get a little confusing, and sometimes I have to stop and sit down and think it all over. Cosmetics grade peroxide usually comes in 3% to 12% concentrations. And cosmetics grade peroxide (sold in beauty stores) is often labeled as things like "V10" of "V40". These are also statements of concentration. V10 is 3% and V40 is 12%. There are also some applications where hydrogen peroxide is measured in PPM (parts per million), for instance in water treatment. For home use 35% is the strongest concentration that I'm aware of that is sold, used or stored. Do you find yourself wondering why so many different concentrations? Or which is "better"? Like with most things there are advantages and disadvantages to any option you choose. it is more concentrated, so it will be lighter weight and take up less space to store. (You'll add water to it as you use it.) Because it takes up less space, you can reasonably buy it much less often, and store enough to use for an extended period of time. It is easier to carry because it is smaller and lighter. it requires extra shipping charges as it is a hazardous material (in the US). This can be quite expensive. it is MUCH more dangerous to use and store. There's more risk of accidental harm, and more precautions need to be taken. 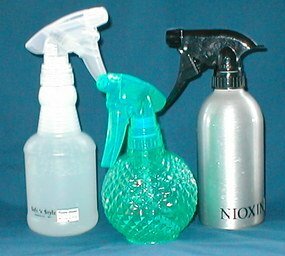 it is easier to use for applications that require a large amount of peroxide -- things like water treatment, baths, and application to a whole garden. it is mostly water, so it will be heavy and bulky (compared to a more concentrated option). It will take more space to store a given amount. It will be heavier and larger to carry. it is much safer to handle and store, and does not require as much in the way of warning labels. it may be more easily available, in some cases. For example, concentrations over 12% CANNOT be purchased in the UK without a special license, and Amazon will not sell concentrations over 12% in the US. it may be inconvenient for applications that require a large amount of peroxide -- things like water treatment, baths, and application to a whole garden. If you have not used 35% peroxide before, I would advise you to use caution, especially if you have kids at home. Perhaps stick with 12% peroxide. If you need relatively small amounts, you could even stick with 3%. If you decide to try 35% peroxide, perhaps starting with a small amount would make sense. Be mindful about shipping, storage and handling. I have talked to people who think storing 35% peroxide is not more dangerous than storing other things like bleach or insecticides. Not sure if that is true, but certainly all of them need to be treated with care. What Concentrations of Hydrogen Peroxide do People Really Use? 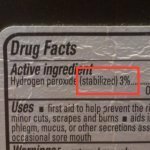 All household uses I’m aware of for hydrogen peroxide are at concentrations of 3% or less. Often FAR less. Some applications use 3%, such as cleaning floors, windows, and countertops. Tough laundry stains may require 6%, or repeated application of 3%. But it really doesn’t get any more concentrated than that. Quite the contrary, it is critically important to adequately dilute hydrogen peroxide, for the specific application. Highly concentrated forms of peroxide are used for some applications like jet propulsion.